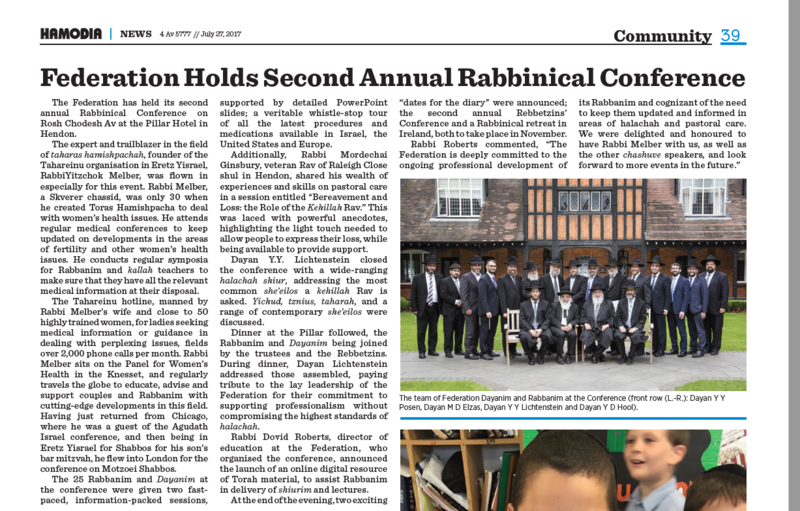 The Federation has held its second annual Rabbinical Conference on Rosh Chodesh Av at the Pillar Hotel in Hendon. The Shabbos before Tisha Be’av is one of the few שבתות that has assumed a designated name – -שבת חזון the Shabbos of Vision. 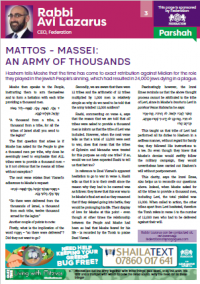 Hashem tells Moshe that the time has come to exact retribution against Midian for the role they played in the Jewish People’s sinning, which had resulted in 24,000 Jews dying in a plague. There are a record number of shuls in the United Kingdom today, according to a newly published survey, but shul membership numbers have continued to decline. The report was produced by the Institute for Jewish Policy Research on behalf of the Board of Deputies. 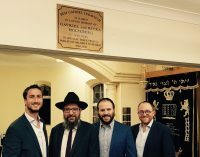 The Beis Gavriel kehillah in Hendon has announced that it will be joining the Federation as its 26th member shul. Beis Gavriel was founded by the Lubavitch community in 2008, in memory of the late Rabbi Gavriel and Rivka Holtzberg, Hy”d, who lost their lives in the terror attack in Mumbai. This unique background is a constant reminder of mesirus nefesh, which provides positive inspiration and chizuk to all. 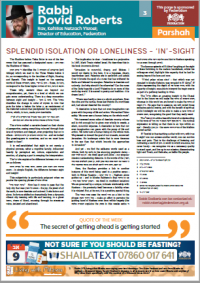 Beis Gavriel has developed into a warm and diverse kehillah, comprising members of all ages and backgrounds. 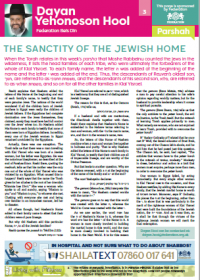 When the Torah relates in this week’s parsha that Moshe Rabbeinu counted the Jews in the wilderness, it lists the head families of each tribe, who were ultimately the forbearers of the whole of Klal Yisroel. To each family name, the letter ה was added at the beginning of the name and the letter י was added at the end. Thus, the descendants of Reuven’s oldest son, חנוך , are referred to as משפחת החנוכי , and the descendants of his second son, פלוא , are referred to as משפחת הפלואי , and so on for all the other families in Klal Yisroel. The story of Bilaam’s curses is well known. Bilaam tries to use the power of speech against the Bnei Yisrael, but as soon as he opens his mouth to utter a curse, the most beautiful blessings emerge. Not to be deterred, Bilaam tries his hand a second time with ‘plan B’. 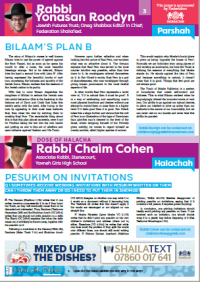 After having expressed the beautiful bracha of mah tovu, expressing the holiness and sanctity of the Jewish home, Bilaam realises that the essence of the Jewish nation is its purity.